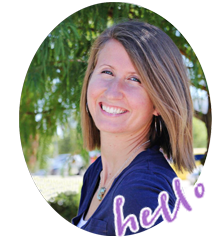 Today I have a fun and unique blog post for you toddler mamas! 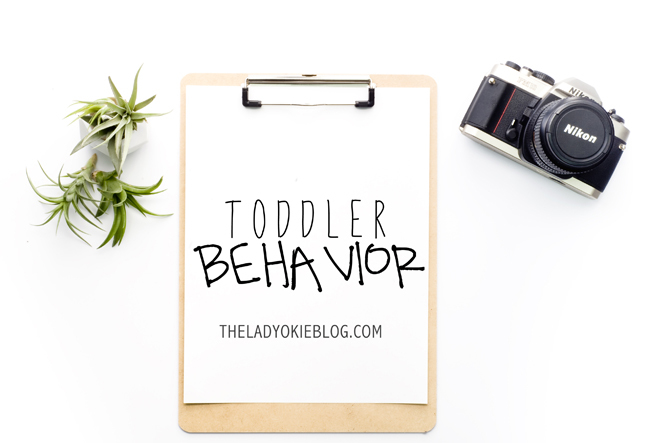 I've teamed up with a few blog friends who are have toddlers R's age, and we are all writing on the topic of toddler discipline. We are keeping it pretty vague in terms of specific behaviors of our kids, but we thought it would be fun and interesting to share what has been working for us and see what other people are doing. Maybe we can get some new ideas for how to handle some of the more challenging toddler moments. Links to the other posts are at the bottom! 1. I realize R is only 2.5 (turning 3 in August), and she is our first child. I know that as she gets older and our family dynamics change and we continue to grow as parents, our style of discipline and what is working or not working will have to adjust. This post is not in any way implying that we have all the answers or that what we do is the best way to handle every child. Only you know what is best for your specific child and how you feel comfortable parenting. We are not very far along in this parenting journey and know there is a lot ahead of us! 2. This post is not suggesting that other ways of discipline are wrong. It is also not trying to provide tips for how to get your toddler to behave or suggest that what we do works 100% of the time. Let's be clear: toddlers are crazy and often they make no sense. Again, we just thought it would be fun to share some things that work for us and if nothing else, fist bump in solidarity that we are all doing the best we can with these adorable minions. Okay! Now that I have that out of the way, let's get to it. R is an absolutely adorable, sweet little girl (or big girl, as she likes to say), but she does have her moments. She is very strong willed, very opinionated, and very stubborn. She has Jordan and I (both firstborns of four) to thank for all of that! Although I don't think being strong willed is necessarily a bad thing, and what we want to do is try to funnel and guide that into good things like standing up for what she believes in and being a strong woman of God. Here are a few things we've found to work well for her, at least at this stage, realizing that as she grows we will have to constantly adjust and grow as parents with her! Tantrums can be super annoying, especially if they happen at an inconvenient time like when you're trying to leave the house and someone loses their mind about being strapped in and starts screaming and failing about. But I'll be honest: I often find tantrums kind of hilarious because they are just so ridiculous that I can't help but laugh. I try not to let R see me laugh, because I don't want her to think that I'm laughing at her distress, but I'm just amazed at how insane the situation is. We seem to have the most success dealing with tantrums when we ignore them completely. Want to fall on the ground in complete and utter dismay because of something that makes no sense? Have fun and let me know when you're finished. And if the tantrum is due to being told "no" about something, I'm absolutely not going to cave just because she started screaming about it. In fact, that makes me even more resolved not to say yes! I do not want R to learn that tantrums solve her problems or will get her anything. I read this book last year, and I thought the authors did a great job explaining what is going on in their little brains when they are upset. There were a lot of helpful tips and takeaways, but one thing that I always remember is that when they are having a full-on tantrum, the reasoning part of their brain is unable to function, so they are not going to listen to reason or be able to have a rational conversation. I try to not ever talk seriously with R when she's in the middle of a tantrum. I wait until she's calm and then go over with her what happened and what she was feeling. One thing I tell her to do a lot is "use your words." I say this all the time. When she's starting to freak out about something, I tell her to stop whining and use her words to tell me what she wants or needs so I can try to help her. Another thing that book (and other books too) talk about is offering toddlers the words to describe their feelings, because they often are not able to verbalize it themselves. They are still working on learning vocabulary, after all! Being Done with an Activity/Getting Ready for Bedtime, Naptime, etc. This does not really have to do with discipline, but just something extra to add in regards to tantrums (or, I guess avoiding tantrums). We started doing this after I saw a friend do it with their toddler, and R has really seemed to do well with it. Often it's hard for a toddler to stop doing an activity they are enjoying like playing at the park or playing with blocks, especially if they have to stop because it's bedtime or nap time or time to go home or whatever else. This is basically the same as the old "five more minutes" warning, but what we do is tell R that she can keep doing X until the timer on our phones goes off. If she's playing and we need to start getting ready for bed, for example, we tell her that she has 3 minutes to play (or 2 minutes or 5 minutes, however long you want), and we are setting a timer on our phones. When it goes off, we let her listen to it (if she's far away from the phone like at the park or something, we bring the phone to her), and then we say, okay it's time to be done. She still sometimes gets upset and throws a fit, so this is not a full-proof strategy, but we just say that we talked about it and she heard the timer and we are all done. I do think it cuts down on a full-on tantrum and a lot of the time she actually is okay with stopping because she heard the timer and knows what it means! Sometimes it can be so infuriating to me when I tell R not to do something, and then she immediately does it. I know she heard me, and I know she knows she shouldn't do it, and she clearly just chose to disobey! Tantrums don't bother me that much, but disobeying makes me so frustrated. Time-outs seem to be much more effective with R as opposed to spankings. 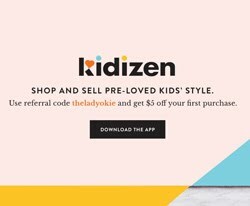 I went to a panel at church once where experienced moms were answering questions about motherhood, and someone said that instead of a time-out being the punishment, she uses time-outs more as a cooling off period before the child does or says something that necessitates an actual punishment. I think of that kind of more as "redirecting," and it has helped to redirect her when I feel like she's getting a little too saucy or aggressive, just to take a break. We set a timer on our phones for 2 minutes (I've heard one minute for every age of the child) and tell her that she can get out when she hears the ringer go off. We also always make a big deal when she does obey. I try to always make sure to go up to her and give her a hug and tell her thank you for obeying. If she was at daycare and they told me she was a good listener that day, I tell her that her teacher said she was a good listener and I'm very proud of her. We try to focus on positive reenforcement! I'm not going to talk much at all about these, because I feel like this is a personal topic for R that I don't want to put her stuff out all over the internet. I will just say that we have incidents with all of these, specifically biting us at home and kids at daycare. I have read a lot about toddler biting, and we tried many different things, some that saw more success than others. I am more than happy to email you more specifics if you think that would be helpful, so please get in touch. If nothing else I can commiserate with you, because this is hard to deal with as parents! And to anyone whose kid gets bit, know that the other parent feels completely awful about it! Briefly, I will say that reading this book at home seemed to help a lot and gave us a good ideas about simple conversations to have about biting and why we shouldn't do it (the series has books on hitting and kicking also!). We talk a lot about using your words to say when you're upset rather than lashing out at people, and we also talk about how doing those things hurts others and makes them sad. We also try to always have her apologize if she hurt someone to help her hopefully learn empathy. I suppose I'll stop there, although I'm sure there's more I could write about. 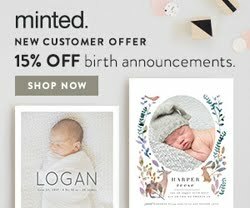 This motherhood thing is ever evolving, and I'm interested to see what the other girls have written about! Links to the other posts are below, and feel free to leave questions or feedback in the comments. Let's support each other in this stage of motherhood! Check out the other ladies who are writing about this topic. They all have awesome blogs! Love that you wrote about this topic. I am all about any helpful hints with this toddler stage. Totally with you on the tantrums, I can't help but laugh at the ridiculousness sometimes. Bowen seems to have phases of pushing or bonking other kids on the head with toys..ugh! It seems mostly when he doesn't feel 100% ya know. I will definitely check out the other blog posts you listed. Timers on the phone are our go-to for transitions too. Ava even gets to push the stop button when the timer goes off. She’s starting to try to negotiate more (“Let’s set the timer one more time!”) instead of moving on immediately but it seems to curb meltdowns. I also really liked The Whole Brain Child. We’re all just doing the best we can! Good post, Amanda. So interesting how many people use timers! I hadn't seen that until our friend did it, but it has helped a lot, I think. It is crazy how all kids are different. I always figured I’d do the same as you and ignore tantrums. It didn’t work. My kid needed a hug to calm down. And identifying her feelings. Now that she’s 4, she needs to be ignored for 10 min and then still needs her hug to calm down. You are so right that we all need to figure out what works best for our child. With R it seems to be best when we ignore the tantrum for a few minutes and then if she hasn't calmed down after that point to go to her and give her a hug. But often she does calm down when she sees we aren't paying any attention. The way they flop down on the ground in complete and utter dismay is just so funny sometimes. I got Whole Brain Child for Christmas, and I really need to start it soon! It sounds like it has some excellent suggestions and background info. I'm lucky in that I have a kid who isn't aggressive in the slightest, so I haven't really had to deal with a lot of stuff a lot of toddler moms do. Tantrums, whining, and sometimes deliberate disobeying are not foreign to me, however! I find that a lot of the time, sticking to a very consistent routine is my best antidote to undesirable toddler behaviors. Usually if my daughter is having a meltdown, it's almost always due to her being tired/hungry/off-schedule, so when I stop and remember that, it becomes a bit easier for me to remain patient. Same girl, same! Time outs are so much more productive than spankings. It's like the time out really drives home to her that we're disappointed in her, and that has a much bigger effect on her. I’ve seen a lot of success with the timer method too and helping kids transition from one thing to the next. I know I would be annoyed and irritated if someone came up to me and just picked me up to take me to bed when I was in the middle of playing. Another really helpful tip I read recently was that it takes kids at this age 30 seconds to process something we say to them or ask them to do. I’ve been trying to be more patient with my son when I ask him to put a toy away or come to me so I can change his diaper. I’ve noticed that if I give him 30 seconds or even a minute to process what I said, he will end up following through on what I asked. I think often times as parents we expect our kids to respond immediately and we end up asking them 4 or 5 times in that 30 second period and then we get frustrated and respond negatively. It’s a good lesson for us in patience and giving them the opportunity to obey. Oooo I love that! I hadn't heard that before, but that makes a lot of sense. I'll try to keep the 30-second idea in mind when I ask her things. Thank you! I had the same take away from the Whole Brained Child. It makes sense that when a kid is in the throes of a tantrum that their emotions are running high and they aren't able to reason at the time. We aren't there yet with our own little one, but I handled both tantrums the same way you do when I used to nanny and it was really effective for her! We try to ignore it at first too but then Nolan learned to crawl and he'd go after her and well, that made it 10 times worse, haha. The comment above about 30 seconds is super interesting to me. I feel like 30 seconds is an eternity for them and they would forget what I asked, ha! Great tips, though!! Love hearing what works for others. This post topic comes at a much needed time as my R has been horrible lately! Thanks for the tips! I like the idea of using an actual timer instead of "5 more minutes". Time outs don't seem to work much for us so we've been doing the spankings as much as that stinks... I guess it's all a learning process! I'm headed to check out those books and other posts now! Ooo the timer. Why have I not thought of this? Trying this immediately. G fears a time out more than anything, but they only seem to enrage her more, so I’m not sure what to do with all that. Toddler discipline is crazy hard sometimes. I had a lot of tears and prayers and talks with James about this yesterday. Loved your take- thanks for sharing! Tantrums are pretty funny sometimes because it is absolutely ridiculous what they are usually upset about and I just think in my head..wow kid...you are going to be thoroughly disappointed later in life when you have to adult and cant throw yourself on the floor because you didn't get your way haha. Where do you put R for time out? I haven't gotten to the point where Z needs them yet, but I see them in our near future as more and more of toddlerhood comes out of her. Also, what do you do about hitting? Z likes to smack me in the face sometimes (usually when I am trying to wipe her nose or pick her up because she needs a change or we are trying to leave or something) and I would like to hear what other parents do. I do the "Use your words" thing with the 4-year-olds a lot. One, when she started coming, was particularly fond of bursting into tears over...anything and everything. So I startled handling the tears each time with a very calm conversation of, "Hmmm, is this a crying thing? How about you use your words to tell me what the problem is." When she tells me the problem, which is usually something as tragic as her mom packed her the same lunch two days in a row, then I say, "I don't think that's a crying thing. Thank you for explaining it to me with your words. It's good to use words to explain what happened, right?" The kids have started to say this to each other when one starts to cry, which cracks me up: "Is this a crying thing?"